Voom Pitch has returned for 2018, giving UK small and medium-sized businesses the chance to pitch to Sir Richard Branson and with £1m in prizes up for grabs. Whereas previous competitions have been targeted at start-ups, Voom Pitch 2018 will welcome more established small and medium enterprises as well with two entry categories: Scale & Grow and Spark & Start-up. With new partners including the likes of Crowdcube, G by Grant Thornton, PayPal, PwC, and Virgin Money, Virgin Media Business says this year is “on track to be bigger and better than ever”. Alongside cash prizes, entrants could win an out of home advertising campaign courtesy of existing partner JC Decaux, and a first-stage funding programme from G by Grant Thornton. Other prizes are to be announced. Entrants will be filtered down by online public voting with the top 40 pitches in each of the two categories going on to take part in the semi-final heats in Manchester. 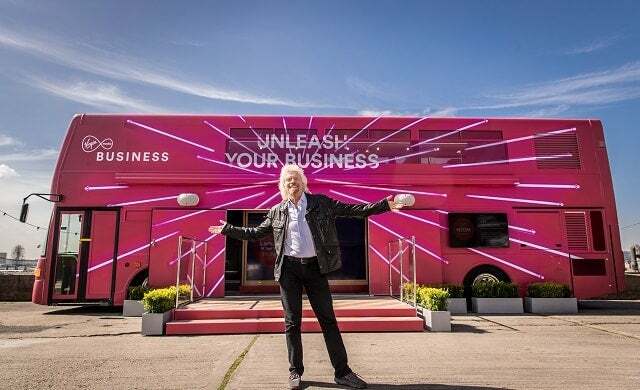 Six finalists will then have the opportunity to pitch their ideas to Branson and a panel of celebrity judges at the Voom Pitch Grand Final on 23 May in London. Now in its seventh year, Voom has a roster of impressive alumni including Startups 100-featured cauliflower rice business CauliRice, Young Gun-founded bio-bean, Dragons’ Den-snubbed Approved Food, and plastic road developer MacRebur. To be eligible for Voom Pitch 2018 you must be 18 or over, living and working in the UK or Republic of Ireland, and own a business employing 250 people or fewer. You can enter Voom Pitch 2018 here.